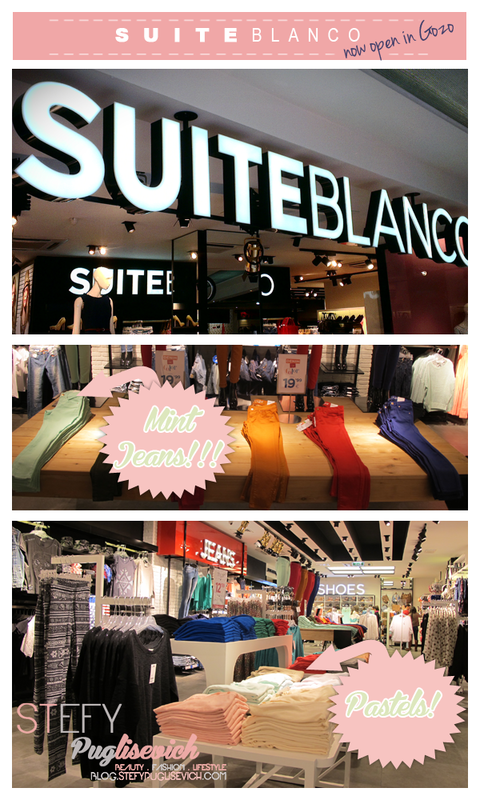 Suiteblanco is a retail clothing store that recently opened in Malta last year. Now It's opened It's 2nd Store in Gozo just Yesterday! As you can see from the lovely shots above, Pastels and Aztek are everywhere in the Store. Their Prices are very reasonable, they even have MINT Trousers for just €19.99, something that caught my eye straight away! If you remember I had written a post on a Press Release on their Denim Collection for Spring/Summer. Check out the Post HERE. So If you are heading to Gozo, Why not check out Suiteblanco whilst you are there at the Arkadia Level 1. HAVE YOU BEEN TO SUITEBLANCO YET? Needed to moment to leave you recognition, yes please keep on with your posts, i truly like them.